Motorola’s once hugely successful range of mobile devices is positively outdated in today’s market, but a new, mystery phone that has surfaced in Vietnam suggests that the struggling handset maker is headed in a new direction under the ownership of Google. Google agreed to buy Motorola for $12.5 billion in 2011 and — though it has made many lay-offs, 10 percent of its remaining workforce were cut last week — the phone that appears in a video from Vietnamese blog Tinhte — via The Verge — shows promise and has more than passing shades of the search giant’s influence. Asia has its fair share of blatant rip-offs, but Motorola has a presence in Vietnam and this 4-inch screen Android-powered device — whatever it may be — is no clone. It is also unlikely to be the ‘X Phone’, the so-called secret handset that Google and Motorola are developing to take on the iPhone and Samsung’s Galaxy S range. The specs — which include a 720p Super AMOLED screen, 2G RAM — do not appear to stand out as a high-end device. One other reason why it isn’t likely to be the X Phone is the fact that Google is reported to have an 18-month wait on its hands before it can get through the Motorola pipeline and begin releasing devices with its input. It could be that this is a mid-range device from Motorola which, if given a decent price point, could do well among price conscious western consumers and in emerging markets. Jolla, Intel, LG and others have targeted emerging markets with some (of all) of their devices, and it wouldn’t be a bad strategy for Motorola to adopt to claw back market share. 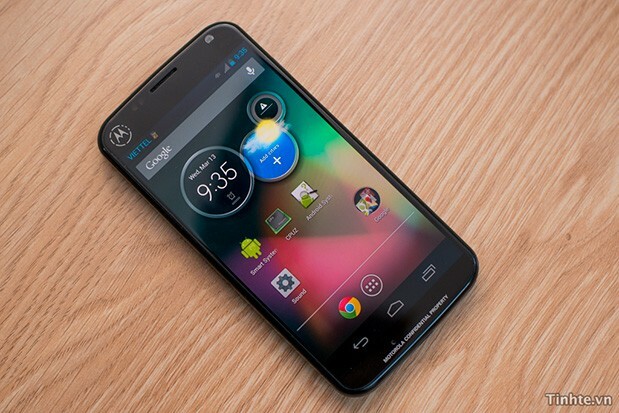 Either way, Motorola has been quiet with no new launches of late. If this is the kind of device it is cooking up then it may have a shot at reviving some of its fortunes.